My momma can be a bit strange in the stuff that she likes. She thinks it is very relaxing to hear Buenagente and me crunching on our kibble when it is very quiet and crunch-crunch is the only sound she can hear. 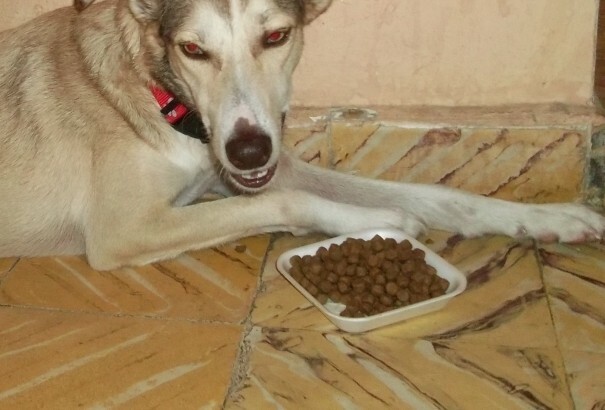 Do you enjoy listening to your dog eat? This is my newly adopted brother Buenagente eating his breakfast in bed with my momma sticking the camera in his face. That is another thing that she loves, taking pictures and videos of us. story buenagente, crunching, eating, video. permalink. I am these kids momma and I do love listening to them crunching their kibble. Doesn’t every dog mom out there?